Raymond A. Traendly, a Florida native, graduated from the University of Central Florida with a B.A. in Political Science concentrating in Pre-Law studies. Mr. Traendly earned the “Dean’s List” throughout his three years at UCF. While at UCF, Mr. Traendly remained involved with his community. Mr. Traendly interned with the Legal Aid Society of the Orange County Bar Association and organized community outreach events including expungement events. Mr. Traendly returned home to South Florida and attended Nova Southeastern University, Shepard Broad Law Center, where his mother, a South Florida family law attorney also went to law school. Mr. Traendly earned “Dean’s List” while attending the Nova Southeastern University. 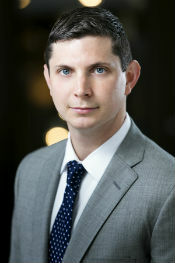 Mr. Traendly ultimately graduated and earned his Juris Doctor from Nova Southeastern University as well. Mr. Traendly continued his work in the community while attending Nova Southeastern. Mr. Traendly interned with Coast to Coast Legal Aid of Broward County working with the Elder Law and Public Benefits/ Consumer Law units. Mr. Traendly constructed an Elderly Exploitation Presentation while interning at Coast to Coast Legal Aid. During his last semester at the Shepard Broad Law Center, Mr. Traendly worked as a Certified Legal Intern representing individuals who were unable to afford legal representation through the Nova Southeastern Children and Families Clinic. While working with the Nova Southeastern Children and Families Clinic, Mr. Traendly represented individuals with high conflict family law cases. Some of the complex issues Mr. Traendly handled were issues of abuse, dissipation of marital funds and assets, and allegations of parental drug use. Mr. Traendly has also developed parenting plans for children with disabilities during his time with the Nova Southeastern Children and Families Clinic. Mr. Traendly was granted the Honorable Charles I. Kaplan Outstanding Service Award for his dedication and commitment to children and families while participating in the Nova Southeastern Children and Families Clinic. Mr. Traendly is a member of Nova Law’s Central Florida Alumni Chapter as well as other various community organizations to stay involved with the community that he now calls home.